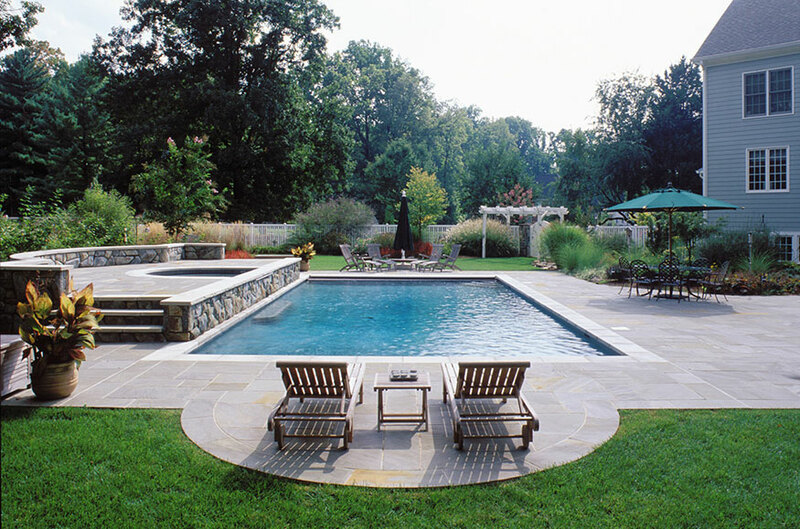 Tennessee grey flagstone edges this 20’ x 40’ pool, which is adjacent to several tranquil seating areas. 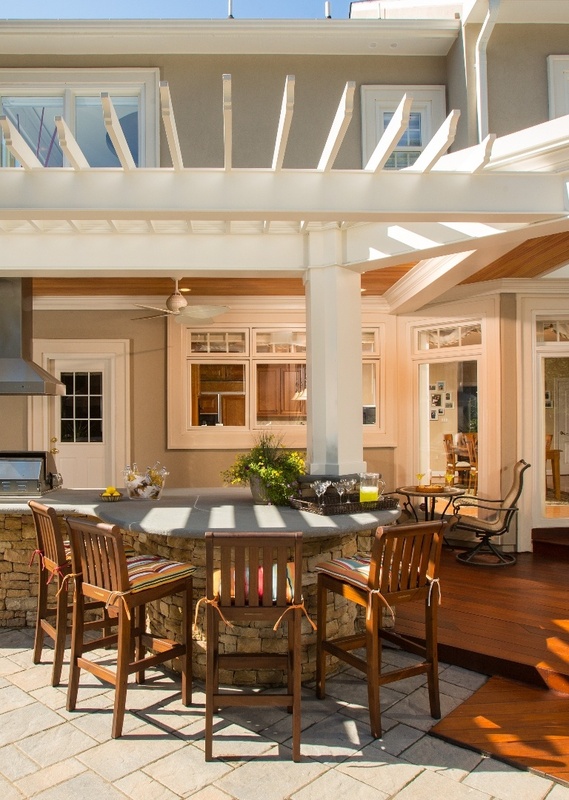 An Ipe deck and built-in stone grill center rounds out this expansive backyard. The 20’ x 40’ pool at this Great Falls home boasts a graceful waterfall spa that pours softly into the swimming area. Set in the center of a raised stone-and-flagstone deck, the tranquil sounds of the spa can be enjoyed by guests as they relax along the seating wall that surrounds the area. Shallow side steps lead back down to the pool area. 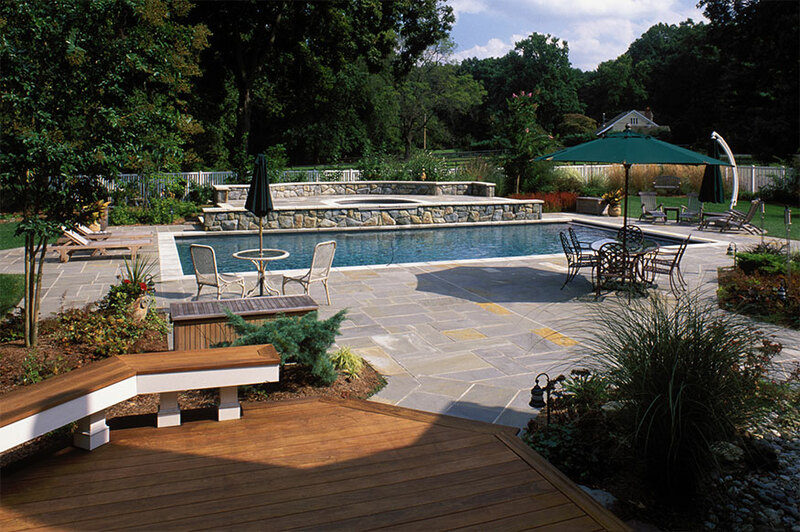 The deck leads out to a gorgeous Tennessee grey flagstone pool deck. Irregular rectangular stones feature occasional brushes of deep yellow for visual interest. There is plenty of room for table-and-chair seating and loungers while ample open space remains. It’s an ideal layout for entertaining, as guests can mill about in groups or settle into chairs for cozy conversations. A simple white pergola opens to a gate that leads to the side yard. We installed custom fencing at this Great Falls home to delineate the sizable outdoor space that the homeowners are fortunate to have. Flowering bushes and small trees are planted along parts of the fence for privacy. The plantings around the pool deck area feature charming lanterns to illuminate the space when night falls. 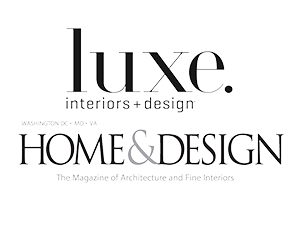 This custom landscape design was planned in concert with the homeowner’s wishes. If you are looking for a Swimming Pool Installation in Great Falls, VA then please call 703-552-7565 or complete our online request form.